One last cozy night together with all the ambassadors in Thessaloniki was exactly what we needed before departure day. Thanks to our great local host, Dimitris, we were treated like royalty as he welcomed all 9 of us with open arms and filled our bellies with local desserts. Although we were anxious, we were all very positive about the beginning of a new adventure! Each group departed throughout the following day on their separate journeys through Europe. A tearful moment as we hugged each other goodbye but a rush of excitement for Team Blue as we headed to our first destination… Serbia! 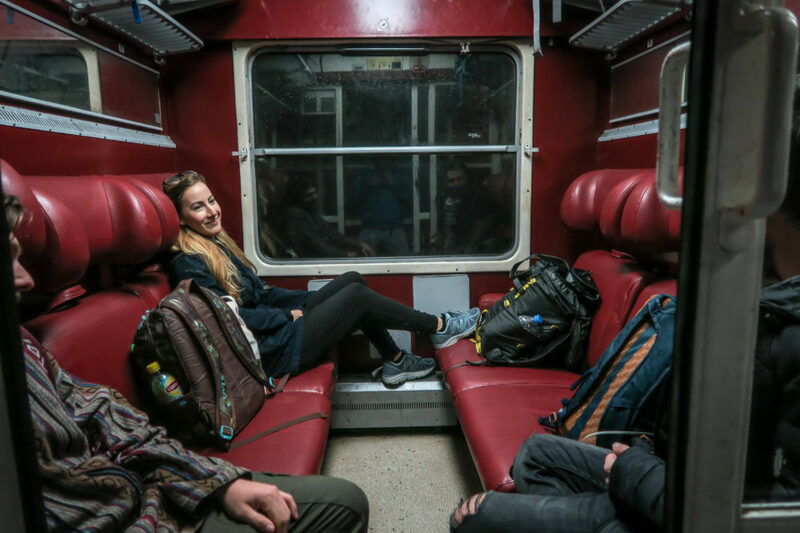 20 hours of travel time later, our tired eyes popped open to the surprise of powdery white snow covered throughout the Balkan landscape, and a brisk cold winded our faces as we stepped off the train into a new country. Realising that our train had been delayed, we rushed through the station in search of our transport from Belgrade to Novi Sad. Tired and out of breath, we made it to our bus with three minutes to spare! Upon arrival, we were cheerfully greeted by our local host, Kaya! 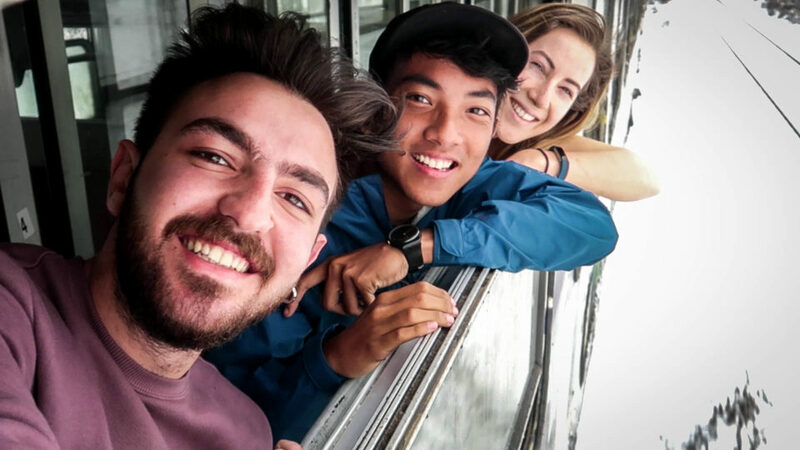 After dropping off our heavy luggage at our homestay, we headed out, ready to experience the city. We began with lunch of traditional Serbian food in an authentic restaurant and got to know each other a little better as Furkan read us our fortunes from the Serbian coffee grounds. We headed out for a walking tour with AEGEE-Novi Sad member, Novak and learned a little about Serbian history as we wandered through the quaint cobblestone streets, mesmerized by the colorful old architecture. 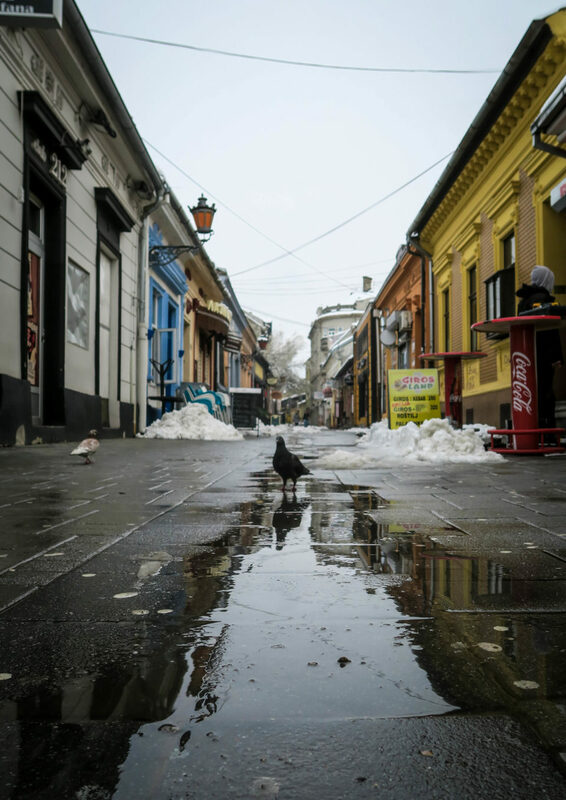 Novi Sad, once being under influence of an emperor, has intriguing details all throughout the center of the city. 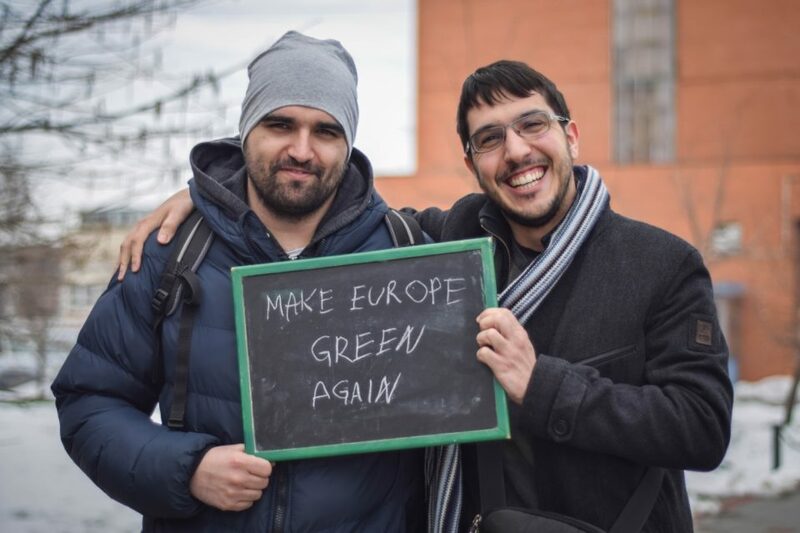 We headed to the college on our first morning to gather wishes for Europe, a project where locals have the opportunity to write on our blackboard what they want for the future of Europe. Although many do not speak English, those that did were happy to share their thoughts and opinions. It was interesting as we saw words such as green, organic, and borderless etched across our board. Based on the interest of the locals, we decided to go with the theme of Environmental Sustainability for our workshops. 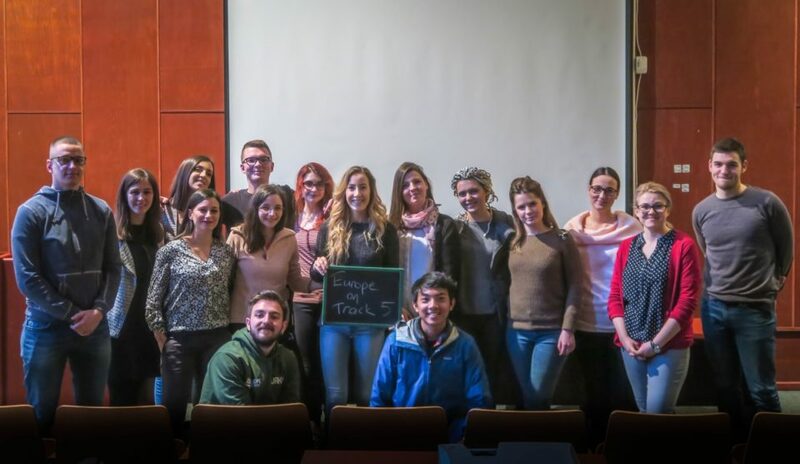 After much practice and preparation, we presented our work and were thrilled with the outcome as many Serbian students were eager to learn and discuss the topics related to their city and country as a whole. We understood that they wish to have higher environmental education implemented as well as increased policies on water treatment and waste disposal. We discussed the areas of green space and came to the conclusion that Serbia would benefit from urban gardens and an increase in parks that allow walking accessibility. This is quite interesting as the word ‘Serbia’ directly translates in English to the term ‘New Plant’ – maybe a sign that more green initiatives are in the near future! After a short but wonderful stay in Novi Sad, it was time to say goodbye. We headed off with our Interrail tickets to Zagreb – but first, we had a stopover in Ruma. Dropped off by bus, we were surprised to see a deserted railway station, encompassed by broken down buildings – looking like something out of an apocalyptic movie. With the below temperatures and high wind, we were chilled to the bone as we wandered alone in search of a café or warm place to stay. We really got a feel for Serbian culture as a local man invited us into his office to escape the cold. Even with the language barrier, we sat together on the broken in couch and shared smiles and laughter over a hot cup of coffee. A perfect way to end our time in Serbia! 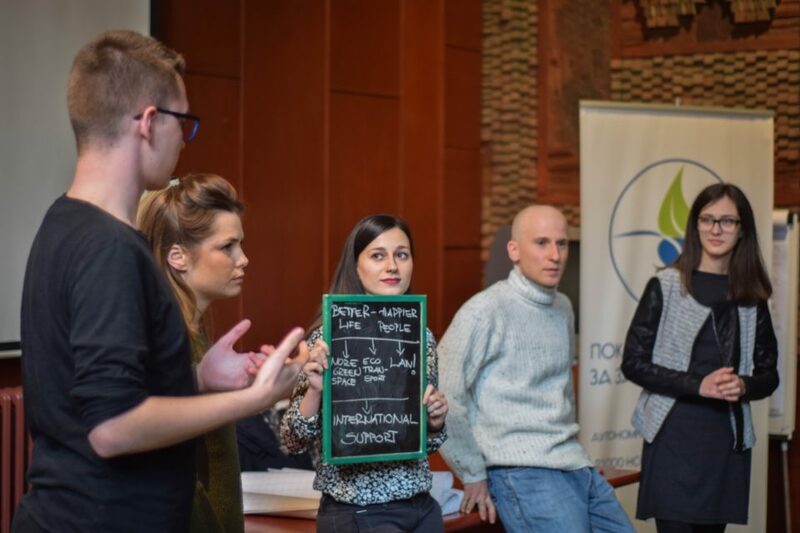 Thank you AEGEE – Novi Sad for hosting us! ⟵Kicking off Europe on Track!